I am inspired by shapes from the natural world, and use these patterns in the fabric I create. 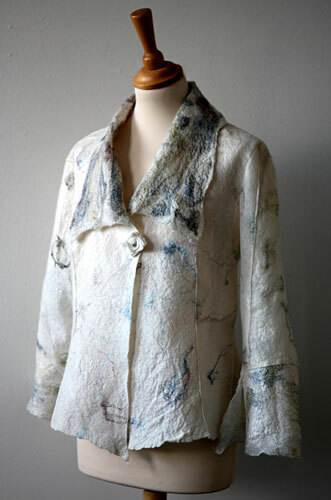 I am working with nuno felt I make from silk chiffon and merino wool tops. My plan at the moment is to make the fabric into a jacket, with minimal seams and draping to use the natural fluidity of the fabric. 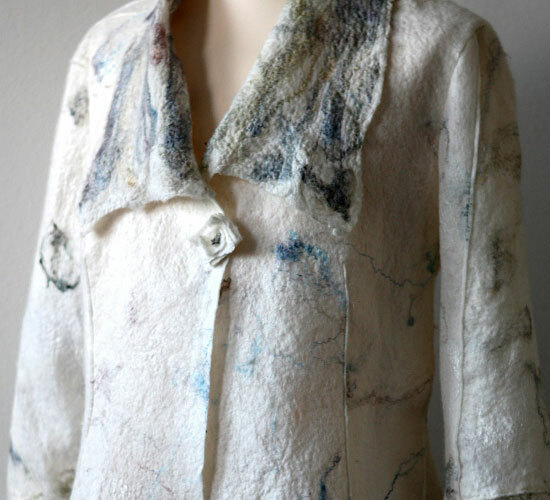 I prefer to use simple designs of garment, which can show off the texture of the felt. The final design depends on the felt I make, each piece is different and the nuances of the fabric will influence the outcome.